This client is a very busy working mom of 4. 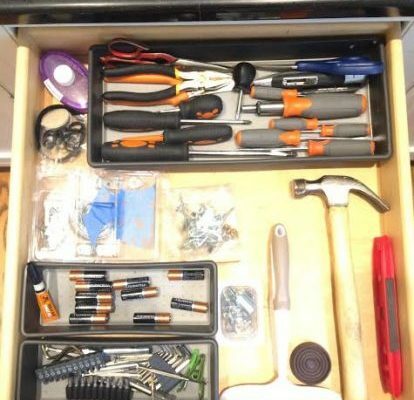 She often works from home, but between her business and her family, keeping things organized is not always a possibility. Her assistant recommended hiring Top Shelf, so I was called in to organize her 2 laundry rooms. 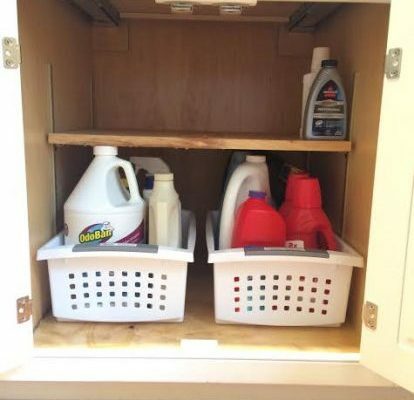 The first one was a traditional laundry room with great storage and already labeled bins and shelving. Items just needed to get put back in their proper place and some new bins needed to be labeled for additional products that had been purchased. 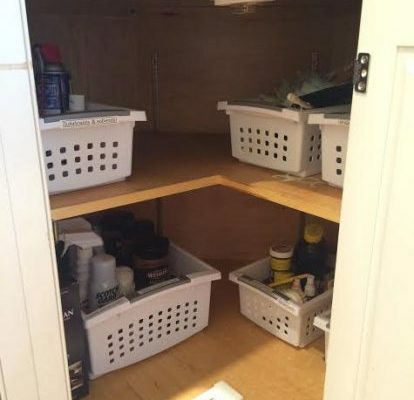 The second laundry room also doubled as a storage room. The client enjoys having a wide variety of items to choose from for difference events that get put on and this room stored some of those items. Cleaning supplies and tools were also kept in this room. In one short afternoon I was able to organize both rooms and the owner was able to breathe easier knowing everything was back in its proper place.